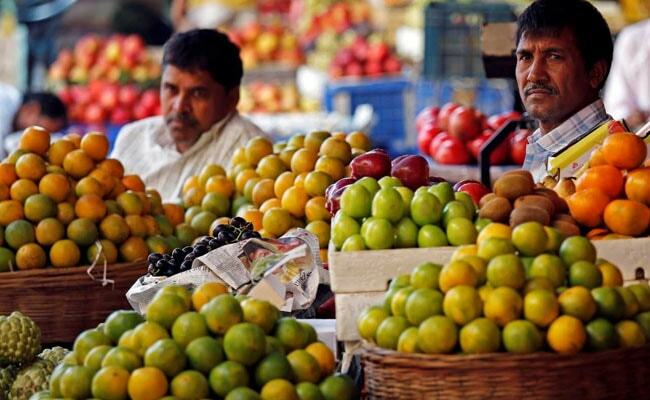 Consumer inflation stood at a final 2.11 per cent in December, the official statement noted. Consumer inflation stood at a provisional 2.05 per cent in January, its lowest level recorded since June 2017, government data showed on Tuesday. That marked a sixth consecutive month in which inflation came in within the central bank's medium-term target. At 2.05 per cent, inflation in January was lower than economists' expectations. Economists had on an average expected inflation at 2.48 per cent in January, according to a poll of 30 economists surveyed by news agency Reuters before the last RBI policy meeting. 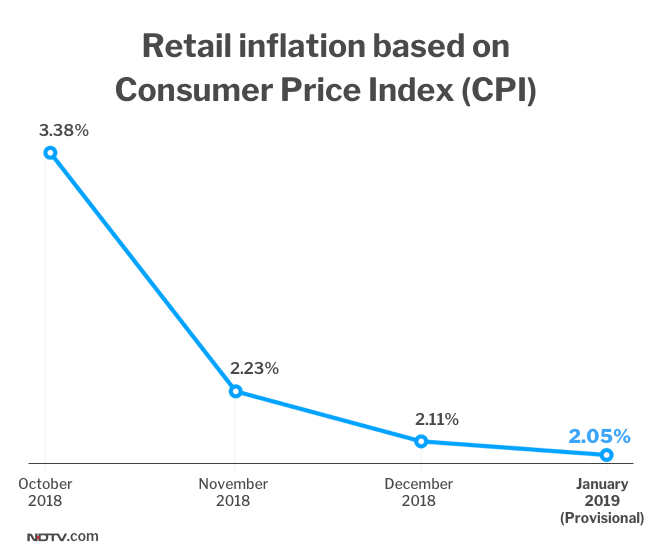 Consumer inflation in December was revised downwards to 2.11 per cent from 2.19 per cent, according to the official statement. The RBI has maintained a medium-term goal of 4 per cent for consumer inflation, which it tracks primarily to formulate its policy. Consumer inflation - determined by Consumer Price Index (CPI) - indicates the rate of increase in consumer prices. The central bank has set an inflation target of 2.8 per cent for the last quarter of the current financial year ending March 31. In its February 7 policy statement, it projected consumer inflation at 3.2-3.4 per cent in the first half of next financial year, beginning April 1. For the third quarter of 2019-20, the inflation target is set by the RBI at 3.9 per cent. Consumer inflation had stood at 1.46 per cent in June 2017. Separate official data showed growth in industrial production - determined by Index of Industrial Production (IIP) - picked up to 2.4 per cent in December. Factory output growth in the previous month was revised downwards to 0.3 per cent, from 0.5 per cent previously. Economists had predicted growth of 2.0 per cent for December, according to a poll by Reuters.